Little Stevie Wonder’s first single joins Pink Floyd’s “Another Brick in the Wall (Part Two)” as the only “part twos” to hit No. 1 on the U.S. chart. Another notable “part two” is Gary Glitter’s “Rock and Roll (Part Two),” which was a No. 7 U.S. hit. Not only did Wonder not write this song, he didn’t even need the whole number to sell his charisma and talent. 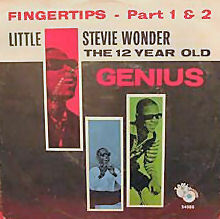 “Fingertips (Part Two)” is less a song than a vamp that Wonder builds up with his harmonica playing and joyous singing. Even if there aren’t any real lyrics, it’s impossible not to smile and sing along.